Practice on Monday, October 28th will be changed to Tuesday, October 29th at 7:00. Practice on Saturday, November 9th will be changed to a future date. On Saturday, November 9th there will be an exhibition game against the LaSalle A/E team at the Vollmer Complex at 6:00. The Final Roster has been posted (see Player Roster on the left hand menu). There will be an Exhibition Game this Sunday, June 9th at 3:15 in Southpoint. Please arrive 30 minutes before game time. 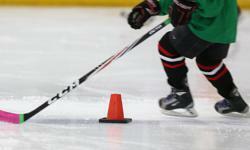 We would like to thank all the players that came to tryouts and wish them well in their future hockey ambitions. 2013/14 Minor Pee Wee coaching Staff.